When you first think about the benefits of a body scrub, your mind likely goes to smooth baby-like skin. Right? And while that’s 100% accurate, body scrubs can help with much more than a kissable body. One of the best things a scrub accomplishes happens more internally. It detoxifies your system. As you gently massage a scrub over your body, the motion boosts circulation and increases blood flow to your skin’s surface, ultimately allowing your lymph nodes to drain. Since your lymph nodes are typically where toxins settle, you’re literally detoxing yourself as you massage. It’s a win-win! Now let’s get back to the kissable skin, which we all know happens when we exfoliate a.k.a use a body scrub. As new skin cells generate naturally, our pores get weighed down with dead skin cells that are clogging our pores. And just like exfoliating your face with gentle facial products reveals clear, beautiful skin, your whole body has dead cells that need to be released. Scrubs are essentially your body’s resource for exfoliating. We love a good scrub any day of the week, but it’s even more enjoyable when we haven’t been our best wellness selves (you know, after a weekend of champagne and french fries). A little self love, smooth skin, AND a detox of our sins? Yes, please! So what’s the best way to use a body scrub and reap these skin and detoxifying rewards? We’ll tell you! Choose a product that is blended from natural, gentle products. 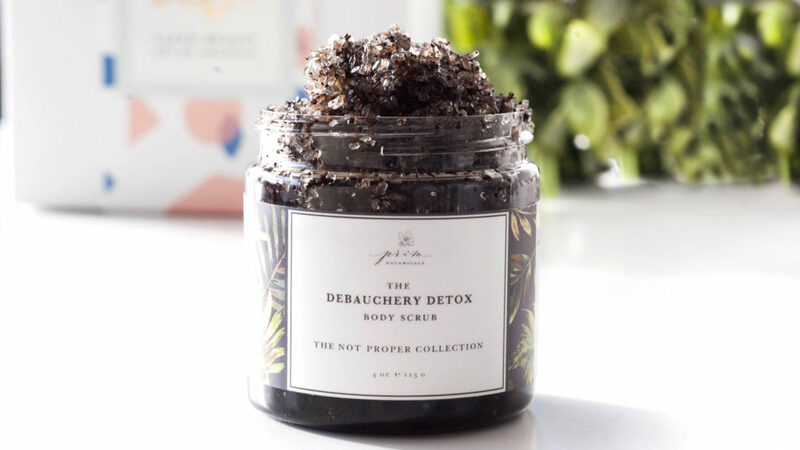 We love The Debauchery Detox Body Scrub since it’s made with oils and salts straight from Mother Nature. Give your pores a few minutes to open while in the shower, then grab your body scrub. In soft circular motions, massage a handful of your scrub over any areas that need it. Especially your feet, knees, legs, elbows and upper arms. Skip any sensitive areas, including your face and lady parts. Rinse & enjoy the benefits! Repeat 1-2x a week for best results.